After having published the encyclical Laudato si’, Pope Francis is showing that his concerns for the “common home” are not isolated thoughts, but a main stream in his pontificate, placing the environment at the same level as that of poverty in the “moral agenda” of the Catholic Church. An international group of Catholic leaders has appealed to the United Nations to forge a strong climate agreement that is fair to poorer nations. Following in the footsteps laid by Pope Francis in June, Roman Catholic leaders from around the world have issued an unprecedented joint appeal to an upcoming United Nations conference on climate change to produce “a truly transformation” agreement to stem global warming. Campaigners deliver 1.4 million signatures supporting the zero deforestation bill to the Brazilian congres Photo © Marcos Oliveira/Agência Senado. 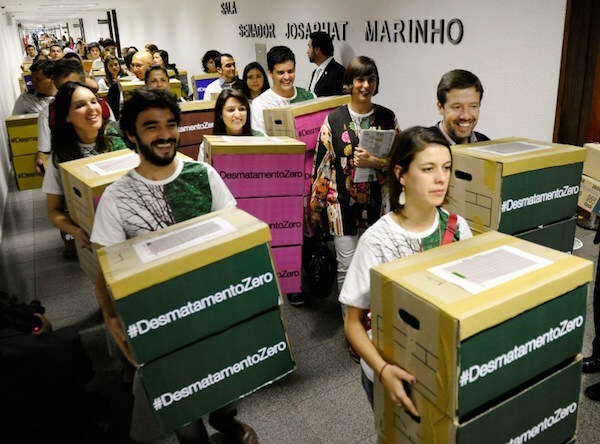 On 7 October, accompanied by senators, religious leaders, celebrities and other supporters of a ban on the felling of Brazil’s forests, Greenpeace Brazil formally presented the draft legislation to the Brazilian congress – signed by 1.4 million Brazilians. Add the global oil price slump and the technical difficulties of Arctic operations, and suddenly the entire project hinged on the success of a few months’ drilling. When that failed, Shell was done. 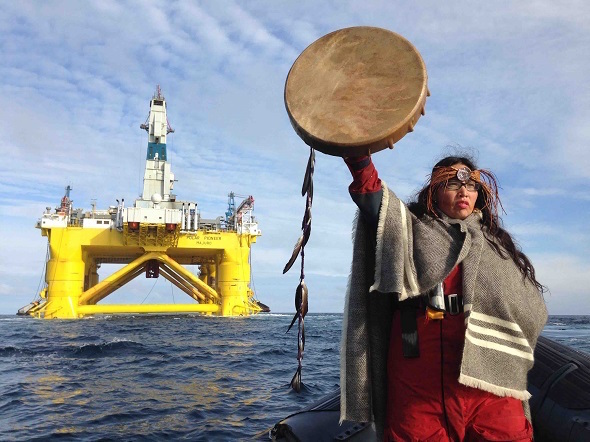 In one swoop, the campaign to save the Arctic has succeeded in keeping more fossil fuel in the ground than 23 years of international climate negotiations. 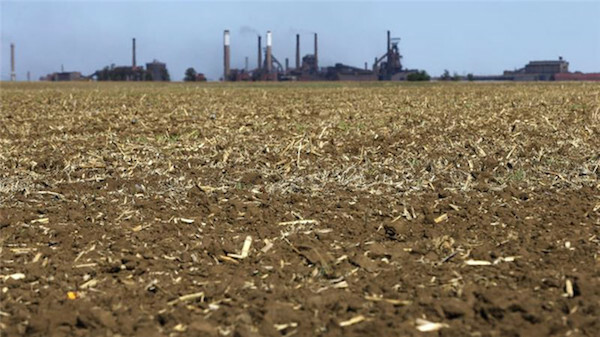 South Africa is facing its worst drought since 1982, with more than 2.7-million households facing water shortages across the country.